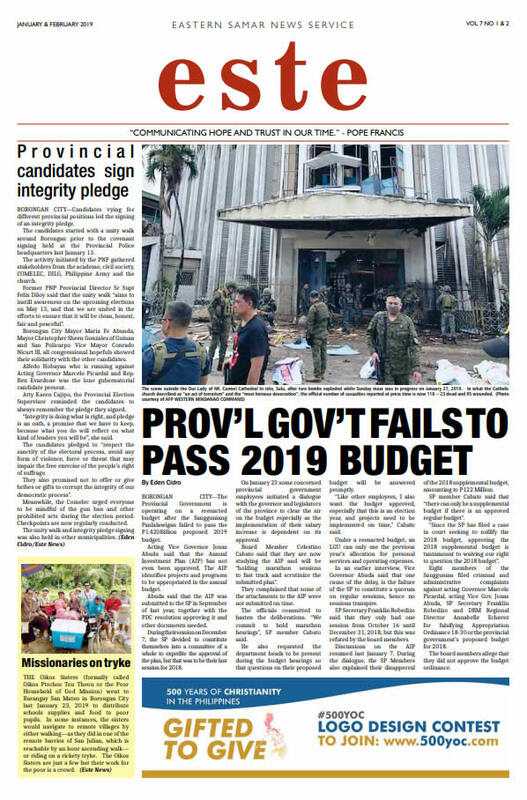 BORONGAN, March 10, 2019–Mayors from 8 municipalities in the northern part of Eastern Samar joined ranks to form an alliance to push for the protection of the fragile coastal and fisheries resources in the area. 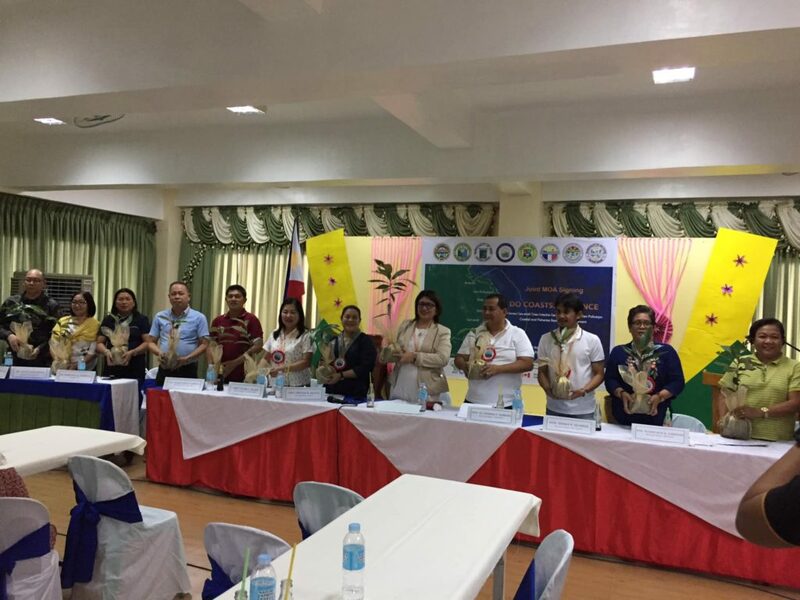 The mayors formalized the (Do-COASTSS) or Dolores, Can avid, Oras, Sulat, Taft, San Julian and San Policarpo alliance with the signing of a Memorandum of Agreement in February this year. The initiative is also supported by the Phil. Army, PNP, BFAR and the Eastern Samar State University. The mayors promised strict coastal law enforcement and will pursue organizational development and capacity building, coastal resources management, information, education, social marketing and sustainable financing. Project Tukod, an NGO is supporting the group, through the Center for International Studies Corp. Financial aid is being extended by the Canadian government through these NGOs. The group was formed to respond to the aftermath of typhoon Yolanda that hit the Visayas. Mercelinda Cepe, National team leader of Tukod said that based on studies, fishing production in the province has decreased by 88% since 2014, due to depleted resources and destruction of marine habitats. The fishermen spends more time and capital in their fishing operations but they are catching less. Cepe said that this problems needs the intervention of local government units, and the private sector as well since the livelihood of hundreds of fishermen are affected. The mayors said that they will share the responsibility to make this project successful and will call on the residents to support this initiative. The alliance aim to come up with policies and programs for better resource management, one of which is to synchronize the coastal management and enforcement ordinances of the member municipalities.